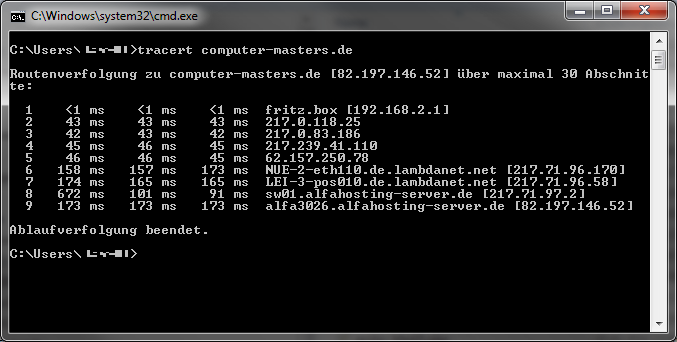 To evaluate the so calles traceroute between our computer and another computer, server or simply IP address you can use the command "tracert". There are many parameters for tracert. 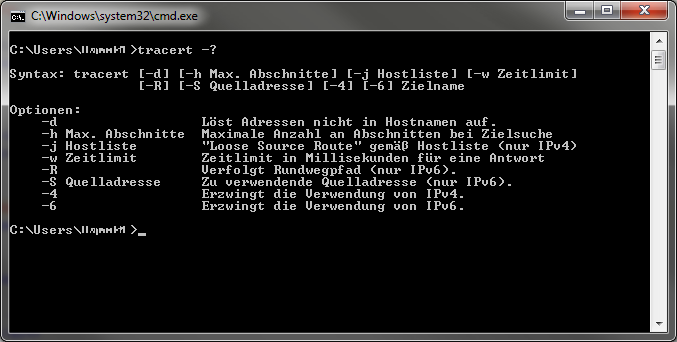 You can see a full list of the available parameters by running the command "tracert -?". See the picture on the right for the resulting output (German version). A very useful parameter is "-h" which can be used to limit the (pre set to 30) sections. Long traceroutes may lead to timeouts. 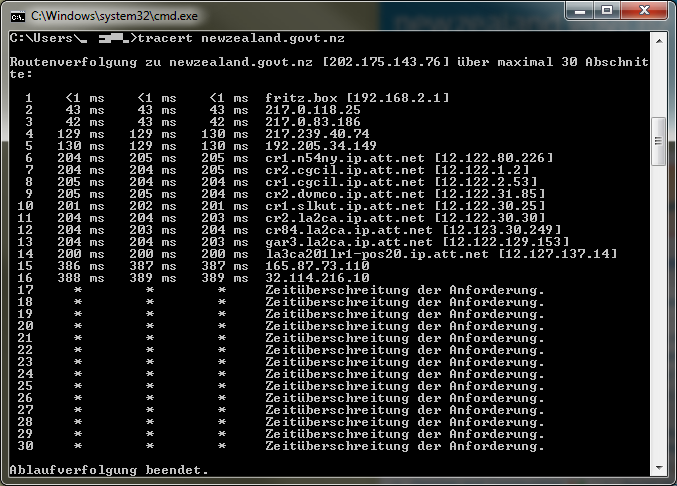 The example on the right shows a traceroute between Germany and New Zealand (a New Zealands governmental website). In this example the track of the route gets lost after 16 sections. The pre setting for sections to be tracked is 30.